Pastor Daniel Xisto has a passion for experiencing Jesus at all times and in all things. His mission is to help others connect with Jesus in authentic and practical ways so that they too can experience the transformation of the ordinary into the extraordinary, and the conversion of the routine everyday into a spectacular adventure with God. Some of Pastor Daniel’s earliest memories are of praying that Jesus would stay close to him. Raised in the Catholic tradition and sent to church school, Pastor Daniel learned to walk with Jesus from an early age in Sleepy Hollow, NY. It was there, while in the seventh grade that he first sensed the call into ministry. High school and college distracted him from that call, but in his senior year as an undergrad he was introduced to the Seventh-day Adventist Church. He fell in love with the simplicity and beauty of the church’s focus on Scripture and on Jesus Christ. Pastor Daniel was baptized in 2000, the same year that he graduated with a bachelors degree in business. It wasn’t long after his baptism that he once again sensed the call to ministry. Although he had established himself in a profitable career in business, there was more he felt called to. In 2009 God’s call was so clear that he left everything behind, moved to Berrien Springs Michigan with his wife Andrea, and enrolled at the Seventh-day Adventist Theological Seminary. He loved every moment there and graduated with honors in 2013 receiving a Masters in Divinity. Upon completing his graduate work, Pastor Daniel and Andrea moved to Charlottesville where Andrea began studies toward a PhD in clinical psychology at the University of Virginia. 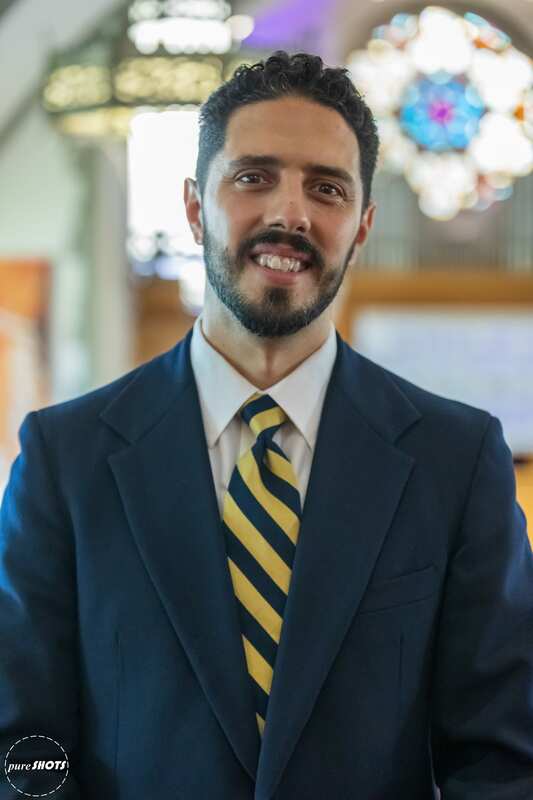 Not only did God open a door for Andrea at UVA, but God opened the door for Pastor Daniel as well when he received a call from the Potomac Conference to pastor the Charlottesville and Buena Vista Seventh-day Adventist churches. In 2015, God blessed Daniel and Andrea with a son, Max, whose smile and playful spirit fills their hearts with joy and reveals to them, in new ways, the love of Jesus.